To fully understand the value of Open Data in a smart city, the best approach is to highlight concrete projects that use the data to provide intelligent services. Here are a few examples taken from the Brussels-Capital Region and elsewhere. Like other smart cities, the Brussels-Capital Region has implemented an Open Data policy as part of its smartcity.brussels strategy. The Brussels’ public authorities are providing a maximum amount of data and documents under an open license to promote maximum data reuse by civil society, companies and the public authorities themselves! This makes the smart city an intelligent services accelerator. And it’s the reason why the Opendatastore.brussels portal is centralising all of the open data of Brussels' government offices and their partners. 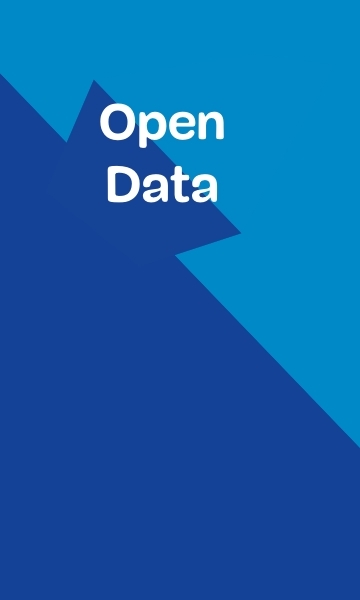 There are already many examples of public authority services using open data, including in the Brussels-Capital Region. The regional smart city strategy is to increase their numbers. The ball is rolling: it's up to developers, companies, non-profits, citizens and others to use the data! The Where’s My Villo? application combines official open data from Villo! stations with data users of the shared bicycles input via crowdsourcing, that is, each person's contribution to the service. In practice, an application installed on your smart phone sends a message every time you have a problem using a Villo: no bicycles or parking available, broken or malfunctioning bicycles, inaccessible Villo! application, etc. Information about Villo! stations, such as the number of times a station has no bicycles or that parking is unavailable enables Where is my Villo? to create a daily list of the worst stations to find or park a bicycle. The benefit is clear: open data leads to greater transparency for the Villo! service and encourages the private operator to improve the quality of their service by increasing the number of bicycles, changing the location of certain stations, opening new stations and transferring bicycles from one station to another more frequently. Generally speaking, it's easy to imagine any number of innovative ideas the community of users and developers could propose to improve mobility in the Brussels Region using open data. Just think of all the anonymous data used by the public transport system and shared car services. The Waze application is already using crowdsourcing to collect passenger traffic information which it links to public open data on road work for use by the navigation application. The interactive Bruxelles, mode d’emploi map provides an inventory of tips for Brussels and its region. The practical information is listed in several categories: recycling locations, learning, assistance, culture, information, etc. The map is managed using open source software (Open Street Map, Django CMS). It uses open Brussels data including park, museum and composting locations and crowdsourcing: motivated Internet users can add or correct data (for example, book boxes, fountains, public toilets, free Internet, etc.). Another good illustration of the collection and presentation of public information developed by a citizen initiative is the site ici.brussels (FR). It coordinates and presents a vast amount of open data at the municipal and street levels including urban planning (lots, land use), transport (buses, Villo!, parking), history (aerial photos from the 1930s on), bonuses, statistics (average age, house prices and rents in neighbourhoods), day care and schools. A number of environmental projects are being set up to produce, share and use air quality, noise pollution and water level data. Brussels Environment (BE) already provides and shares a great deal of information produced by its highly accurate measuring stations. However, residents want to go further still. BRAL (Urban Movement for Brussels), in partnership with BE, has developed a project to gather air quality measurements by asking a hundred residents to wear sensors to evaluate the composition of the air they breathe all day long. The Eau propre – Proper Water project has developed a floating sensor prototype (the Pacco-test) to measure water quality in Brussels. It’s easy for citizen groups concerned by the issue to use. And thanks to the recent development of sound level meter applications, smartphone users can measure the noise levels they’re exposed to. Collecting and publishing all of the data produced by citizens and the public authorities under an open licence will enable pollution spikes to be mapped, understood and, in some cases, anticipated. This is the purpose of the Plume Air Report application which is used to track the concentration of major air pollutants hour-by-hour in 64 cities around the world. Thanks to the technologies developed using data sciences (Big Data), Plume Labs, the start-up which created the application, is now creating mathematical models to predict the most likely changes in pollution within hours. The urban infrastructure for persons with reduced mobility (PRM) is a perfect field for the use of public open data. For example, the city of Rennes (France) has provided its geographical data on 80,000 accessible sidewalks. Two developers used the data to create an application with routes for PRM. The added value of the application is very clear to the residents of Rennes and to people travelling to the city. It’s also very useful for the city of Rennes: internal application development would have taken a long time and been complicated and expensive. A similar idea won the Open Data Hackathon – UrbIS which was held in November 2015 at the Centre d’Informatique pour la Région Bruxelloise. In Paris, the vroomvroom.fr application (FR) was built using a file tracking the success rate of every driving school in the French capital. Although public, the data wasn't published on the Internet and the founder of the start-up had to create their own database. Now, after repeated requests by the entrepreneur, the information is available for all departments. Everyone can now find out about the success rates and prices of all driving schools and make a fully informed choice. In the Brussels Region, the Fix My Street application is based on the crowdsourcing model. It provides residents with the ability to take an active part in publishing information about roadway incidents. The information is primarily used by the public authority in question, both to organise repairs of reported problems and, based on incident statistics, to identify the locations most often damaged. The site is also useful for other public authorities as a good practices comparison and exchange tool. All incidents are shown on an open map of the Brussels region.